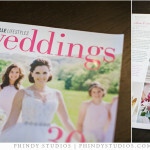 Huge thanks to Nashville Lifestyles Weddings for including Zack & Colleen’s wedding in their current issue! 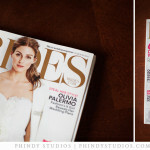 We are excited to share that Tom & Jaime’s beautiful wedding was featured in the latest issue of Bride’s magazine! Thanks again to all the wonderful vendors we worked with on their wedding, especially the event coordinator, Kathy Best with Front Porch Farms.